Do You Have Wedding Gift Worries? So you have just received an invitation to a wedding. One of the firsts things that will pop into your mind, is what to get the bride and groom for their wedding gift. How much you should spend is also a big question. The gift registry can be one place to start, but it can also be frustrating because by the time you get there the options are limited. There is the $300.00 candles stick left or the $5.00 whisk. There is a fine line between breaking your bank account buy being over generous and giving a gift that is well...cheap. The wedding gift is a noble gesture. It is a tangible reflection of the love and support you offer to assist the married couple get off to a good start. For guests that are not that close to the bride and groom or who are on a tight budget, here are some thoughts to ponder. How much should I spend on a gift? The amount you should spend on a gift is one of those gray areas that vary based on the wedding location, your age and your budget. A typical amount, says Betsy Goldberg, features editor at Modern Bride magazine, is $75. If you bring a date, expect to give a present worth double that. Don't be afraid to ask other attendees what they plan to spend to get a better sense of what people within your social circle are giving, she says. Though the gift amount is somewhat arbitrary, Summer Kecked, deputy editor of WeddingChannel.com, offers a few guidelines based on the guest's relationship to the bride or groom: If it's your co-worker's wedding, you should spend $75 to $100; a relative or friend, $100-$125; and if it's your close friend or close relative, anywhere from $100 to $150 or more is acceptable. Most brides and grooms don't want you to go broke as a result of their wedding. You also need to take into consideration the amount of money that you will also need to spend just to get to the wedding. If you are attending a destination wedding and there are several travel expenses involved, it is proper etiquette for the bride and groom to expect your presents at their wedding your gift. You should not have to consider the elaborate arrangements that the bride and groom have made for their wedding dinner should suggest how much you need to spend on the gift. Martha Woodham, author of "The Bride Did What?! Etiquette for the Wedding Impaired." Says, instead, think about it this way: You're not expected to pay for your meal at a friend's dinner party, so why should you be expected to pay for a night of dinner and dancing at a wedding? A gift is separate from the party itself and should not be considered "the admission price to the wedding," says Woodham. What if I am not attending the wedding, do I still need to offer a gift? Even if you are not attending the wedding, a gift should be considered. The gift is to commemorate the bride and groom starting out a new life together. It is not in exchange for attending the festivities. Your gift shows you care about the couple and is not given because you were invited to the wedding. Is it best to buy the gift from the registry? Registries are quite wonderful because they take the risk out of buying something that someone else has bought or something that the bride and groom do not want. The registry tells you what the couple is looking for so you do not spend the entire day of shopping trying to guess what they would like. With the registry, you will have the confidence in knowing that they will be happy when they receive it. Buying from a registry may seem impersonal; however you can personalize it by adding a note inside the box from that reflects a personal touch. 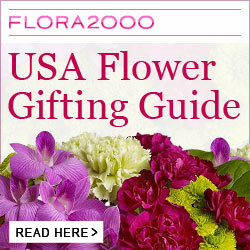 If you choose the gift registry option, you will want to get in early while there are still many choices. Those that procrastinate are often disappointed to see that there is little left to choose from and the only things left are a bit too far out of the budget. What is the protocol for delivering the gift? If your gift is cash or a check, it is very acceptable to give your gift at the wedding. It has always been more appropriate to send other gifts to the bride and groom, rather than bring them to the wedding. Hauling wedding gifts home from after a reception is not an easy task. This is especially true for the couple who is not getting married in their hometown. 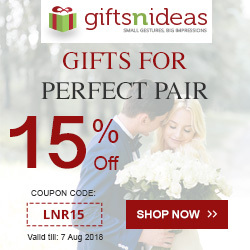 Simply send the gift to the couple or one of the parents home address a few weeks before the wedding. Some think that it is fine to send a gift after the wedding, just remember that the bride is going to be sending out all of her thank you notes with in 30 days after the wedding so you would not want to extend your gift giving more than that. Your gift giving obligations can really add up if you are going to be invited to all of the surrounding celebrations like the bridal shower and engagement party. So plan ahead and spend wisely.